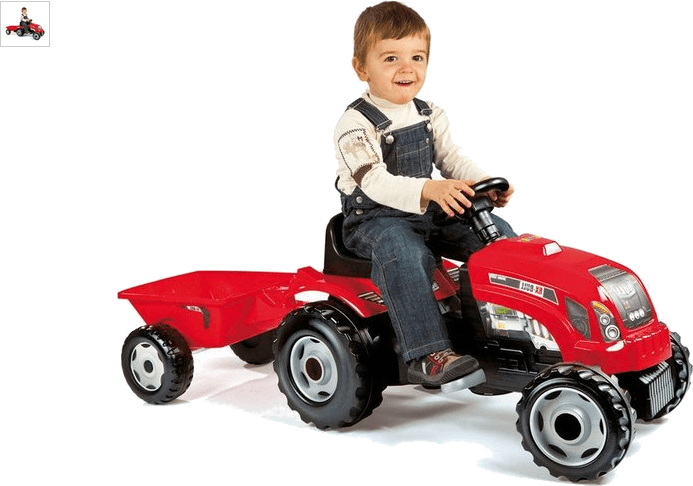 The Smoby Red Tractor with Trailer has kid sized pedals and wide wheels, plus the front cover can be easily lifted to reveal the decorated body of the tractor so that your little one can play with the engine. This tractor also features an adjustable seat so that your little one can ride in comfort, plus a steering wheel with working horn. Beep! Beep! There's work to be done. Get money off with April 2019 free Argos voucher codes, see if there's a promo code for the Smoby Red Tractor with Trailer product. Argos may be out of stock of this product. To enhance your shopping experience you may also be redirected to a search results page when you click an outbound link. 4.2/5 from 10 recent reviews.